Asthma, an inflammatory disease affecting the lungs, is one of the most common chronic conditions in the world. According to the National Institutes of Health, 1 in 14 Americans lives with asthma. Symptoms of asthma include wheezing, breathlessness, chest tightness and coughing. Although asthma cannot be cured, proper management can reduce or prevent asthma attacks. Although every asthma patient’s treatment plan is personalized to suit their needs, most plans include a combination of medication and reducing exposure to asthma triggers. Although the exact causes of asthma are still being studied, it is likely that asthma is caused by a combination of genetic and environmental factors, which means that someone with a genetic predisposition can be more likely to develop asthma if they encounter certain substances in their environment. Indoor allergens such as pets, dust mites, cockroaches, cigarette smoke, and molds are the most common environmental triggers. Some of these are easy to control through regular home cleaning, while others, such as mold or cockroaches, will likely require help from a professional mold remediation or extermination service. Outdoor air pollution can also play a role in asthma; researchers have found significant associations between increased exposure to the chemicals and particulates in vehicle exhaust and development or exacerbation of asthma symptoms. Sinuses are cavities in your forehead, cheeks and nasal passages whose job is to warm and moisten the air you breathe. If one or more of these cavities becomes inflamed, you can develop rhinosinusitis, also called sinusitis or a sinus infection. The main symptom of rhinosinusitis is a runny or stuffy nose and cough which last for more than one or two weeks; symptoms can also include: pressure around your nose, eyes or forehead, thick, discolored nasal drainage, bad-tasting post-nasal drip, cough, head congestion, ear fullness or headache. Some people also experience toothache, tiredness or fever. Rhinosinusitis usually develops from a cold; however, if you suffer from allergic rhinitis, you may be at greater risk for rhinosinusitis caused by swelling in your nasal passages. If you have been diagnosed with allergic rhinitis, allergy medications can help reduce your risk of developing rhinosinusitis. Milder cases of rhinosinusitis can be treated with over-the-counter medications such as decongestants and mucus thinners; bacterial sinus infections may require a course of short-term antibiotics. Controlling your allergic rhinitis is the best step toward preventing rhinosinusitis infection; if you suspect that an allergen in your environment is causing your allergic rhinitis to develop into sinusitis, talk to an environmental health specialist to assess the situation and plan the next steps for protecting your health. Allergic rhinitis is the most common allergic disease in the world; the American Academy of Allergy and Asthma Immunology estimates that 10-30% of the world’s population suffers from allergic rhinitis. For some people, allergic rhinitis is a seasonal disease (also known as hay fever), while others are affected year-round. Symptoms of allergic rhinitis include a runny or stuffy nose, sneezing, red, itchy, and watery eyes, and swelling around the eyes. The allergens which typically trigger allergic rhinitis are pollen, mold, dust and pet hair. The causes of allergic rhinitis are complex, and are still being investigated, but it is likely that a combination of genetics and environmental exposures contribute to the development of allergic rhinitis. Allergic rhinitis can be treated with medication (either prescription or over-the-counter) and immunotherapy (allergy shots); however, if you suffer from allergic rhinitis, one of the best things you can do to control your symptoms is to reduce your exposure to allergens. If you are allergic to mold, this means keeping your home dry, as mold grows best in damp spaces. For example, you can use an exhaust fan in the bathroom, limit the use of vaporizers, and use a dehumidifier to clean the air in your home. If you suspect that mold in your home is causing your symptoms, a professional mold inspector can assess the situation and tell you which steps to take in order to protect your health and the health of your family. A person who suffers from allergic contact dermatitis will develop a rash after their skin comes in contact with an allergen. The rash can take a variety of forms, from a simple red area to a skin lesion, depending on the allergen and the severity of the allergy. Common allergic contact dermatitis allergens include adhesives, antibiotic creams, balsam of Peru, fabrics, fragrances, nail polish, hair dye, nickel, poison plants (such as poison ivy, poison oak, or poison sumac), and rubber or latex. Some substances only trigger an allergic reaction when they are exposed to sunlight. This is called phototoxicity or photosensitivity. These include shaving lotions, sunscreens, sulfa ointments, some perfumes, coal tar products, and oil from the skin of a lime. Allergic contact dermatitis can be treated with prescription or over-the-counter skin creams, depending on the severity of the reaction. In some cases, a doctor may prescribe systemic corticosteriod pills or recommend an oral antihistamine. However, because these treatments can interact with each other, it is important to talk to your doctor before embarking on any treatment for allergic contact dermatitis. Hypersensitivity pneumonitis (HP) is a disease which occurs when a person breathes in substances which cause their lungs to become inflamed. Examples of substances which cause inflammation (called antigens) are mold, dusts and chemicals. Although many people come into contact with these antigens at work or at home, only some will develop hypersensitivity pneumonitis. In 2004, the Institutes of Medicine found sufficient evidence of a link between exposure to indoor mold and HP in susceptible patients. Hypersensitivity pneumonitis can be acute (short-term) or chronic (long-term). Symptoms of acute HP include chills, body aches, coughing, and chest tightness. After hours or days of no contact with the antigen, symptoms usually go away. However, if the antigen remains present, acute HP can develop into chronic HP. Chronic HP can cause a worsening cough, shortness of breath with physical activity, fatigue, and weight loss. Severe HP may cause clubbing, which is a widening and rounding of the tips of the fingers or toes. Researchers are still investigating why exposure to antigens causes HP in some people but not others. Although some medications (such as corticosteroids or prednisone) can control symptoms, HP is a clear case of an ounce of prevention being work a pound of cure. Preventing HP means avoiding exposure to the antigen which caused the initial acute case; if you are able to reduce or prevent contact with the antigen which caused your disease, you will succeed in preventing HP from developing. If you have been diagnosed with either acute or chronic HP, it is essential that you find out which antigen caused your illness and take steps to reduce or eliminate contact with that substance. Chronic Obstructive Pulmonary Disease (COPD) is a progressive condition in which the bronchioles (small air passages) of the lungs become clogged or lose their shape. It is the third most common cause of death in the United States, affecting an estimated 24 million Americans (source). Although COPD may begin with few symptoms, as the disease progresses, they often become worse. Symptoms include an ongoing cough which may produce a lot of mucus (often called “smoker’s cough”), shortness of breath, especially with physical activity, wheezing, and chest tightness. COPD is caused by exposure to environmental irritants; by far the most common cause is cigarette smoke, but long-term exposures to other irritants such as dusts, chemicals or air pollution can also contribute to COPD. Although COPD currently has no cure, there are many treatments which can make the disease more manageable. There are oral and inhaled medications which can alleviate symptoms, and there are lifestyle changes, such a quitting smoking, which can slow the progression of the disease. It is also wise to take care not to expose yourself to environmental irritants which can worsen symptoms, such as aerosols, dusts, and mold. Mold spores circulating in the air can cause opportunistic fungal infections if inhaled by COPD patients. If you or someone in your family have been diagnosed with COPD, an indoor air quality investigation can help determine the best ways to protect your health and the health of your family. Silicosis is a lung disease caused by breathing in tiny particles of silica, a mineral that is part of sand, rock, and mineral ores such as quartz. Over time, silicosis causes scarring in the lungs and affects sufferers’ ability to breathe. Silicosis is most often an occupational disease; those most likely to be diagnosed are people working in industries such as construction, mining and glass manufacturing. About 2 million American workers are currently at risk for silicosis. (source) There are three types of silicosis: acute, chronic, and accelerated. Although each has unique symptoms, all three types make it difficult to breathe. Silicosis can be a very serious condition, causing over 100 deaths per year in the United States (source). Although silicosis cannot be cured, it can be managed and, most importantly, it can be prevented. The best way to prevent silicosis is to keep dust out of the air. During any construction or demolition work, dust control measures are essential. This can be as simple as using water to wet dust and keep it from blowing into the air, using dust masks, and using proper tools with dust control or dust collection features. If you are planning to do any type of renovation work yourself, be sure to use the correct personal safety equipment, and keep your work area as clean as possible. If construction in or around your building has you concerned about silica, an indoor air quality inspection can give you a clearer picture of any potential exposures and help you plan the best way to protect your health. Interstitial lung disease describes a large group of lung disorders characterized by progressive scarring in the lungs. Scarring in the lungs causes problems because over time it stiffens lung tissue, making it more difficult to breathe. For some patients, the cause is unknown (this is known as idiopathic interstitial lung disease); however, for most patients, interstitial lung disease is caused by an environmental exposure or by medication. Environmental exposures which can cause interstitial lung disease include: asbestos, mold, silica, coal dust, grain dust, and bird protein (from feathers). Other causes may be: radiation, chemotherapy drugs, some heart medications, some antibiotics, and some autoimmune conditions. If you are concerned about interstitial lung disease and medication, your doctor can tell you if you are at risk. Lung scarring from interstitial lung disease is usually irreversible, but some medications can control inflammation and slow or prevent new scarring. However, prevention is always the best way to protect your health. Interstitial lung disease can be prevented by reducing or preventing environmental exposures at home and at work. An environmental health investigator can tell you if you are at risk from asbestos, mold, silica, or any other environmental factors in your home. Asbestosis is a lung disease caused by exposure to asbestos fibers in the air. Asbestos is a naturally-occurring mineral which in the past was used as building insulation. Thanks to changes in health regulations over the past 50 years, asbestos is becoming rarer and rarer, and most people with asbestosis today were exposed before the 1980s. However, some older homes may still have insulation, vinyl flooring, or other materials that contain asbestos. If you are concerned about the possibility of asbestos in your home, an environmental health specialist can perform an inspection to determine whether you are at risk. Although exposed asbestos is a health hazard, asbestos which is sealed away from the air is far less likely to cause illness, and in some cases it is safer to leave it undisturbed. Asbestosis can take up to 20 years after exposure to show symptoms. Symptoms include: shortness of breath, persistent dry cough, chest tightness, chest pain, loss of appetite and weight loss, a dry, crackling sound in the lungs while breathing in, and wider and rounder than normal fingertips and toes (clubbing). Asbestosis cannot be cured, but it can be managed by maintaining your health through proper nutrition, exercise, avoiding infections, and avoiding bad air by staying inside when pollution or pollen counts are high and avoiding irritants and pollutants. Pulmonary fibrosis (PF), also called idiopathic pulmonary fibrosis (IPF) is part of the group known as interstitial lung diseases which cause scarring in the lungs. Tissue deep inside the lungs becomes scarred and stiffened (this is called fibrosis), and makes it difficult to breathe. PF is a serious disease, and is most likely to affect people aged 50-75. There are dozens of possible causes for PF, and in many cases doctors cannot pinpoint the exact cause of an individual’s disease. Exposure to environmental hazards such as asbestos, silica, mold, and bird or animal droppings may cause PF; other possible causes include some medications, radiation, and other health conditions. The lung scarring caused by PF cannot be cured, but some medications can slow the progression of the disease, along with lifestyle changes to preserve your health to the extent possible. “Allergic bronchopulmonary aspergillosis (ABPA): Aspergillus causes inflammation in the lungs and allergy symptoms such as coughing and wheezing, but doesn’t cause an infection. Allergic Aspergillus sinusitis: Aspergillus causes inflammation in the sinuses and symptoms of a sinus infection (drainage, stuffiness, headache) but doesn’t cause an infection. Aspergilloma: also called a “fungus ball.” As the name suggests, it is a ball of Aspergillus that grows in the lungs or sinuses, but usually does not spread to other parts of the body. Chronic pulmonary aspergillosis: a long-term (3 months or more) condition in which Aspergillus can cause cavities in the lungs. One or more fungal balls (aspergillomas) may also be present in the lungs. Invasive aspergillosis: a serious infection that usually affects people who have weakened immune systems, such as people who have had an organ transplant or a stem cell transplant. Invasive aspergillosis most commonly affects the lungs, but it can also spread to other parts of the body. Symptoms of milder forms of aspergillosis include cough, fever, wheeze and shortness of breath. In more serious infections, symptoms may also include chest tightness and coughing up blood. Preventing aspergillosis can be difficult, since the spores occur naturally in most environments. However, if you are at risk of contracting aspergillosis, it is important that you take steps to protect your health. Avoid dusty areas if possible, and if you cannot avoid them, wear an N95 respirator (a medical face mask available at most pharmacies). Monitor your home environment for dampness or mold growth, and use a HEPA air filter to keep the air clean. Your doctor may also prescribe antifungal medication or perform regular blood tests to detect aspergillosis early on. Aspergillosis can be serious, but with proper monitoring of your health and your environment, it can be prevented. 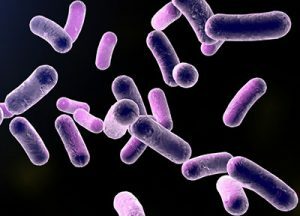 Legionellosis is a disease caused by the Legionella bacterium; when it infects the lungs and causes pneumonia, it is called Legionnaire’s disease. The bacterium is found naturally in fresh water, but grows best in warm water, like the kind found in hot tubs, cooling towers (air-conditioning units for large buildings), hot water tanks, large plumbing systems, and decorative fountains. People are exposed to Legionella when they breathe in mist or vapor containing the bacteria; legionellosis cannot be passed from person to person. Most people who are exposed to Legionella do not become ill. However, if you are concerned that you have been exposed to the bacterium, contact your doctor or you local health department. Legionella causes two diseases: Legionnaire’s disease and Pontiac fever. Legonnaire’s disease can be difficult to diagnose because its symptoms appear very similar to other types of pneumonia. Common symptoms include: cough, shortness of breath, high fever, muscle aches, and headache. Although most healthy people who contract Legionnaire’s disease will recover after treatment with antibiotics, the disease can be serious, and most patients will have to be hospitalized. Symptoms of Legionnaire’s disease usually begin between 2-10 days after exposure, so if you think you have been exposed to Legionella, monitor your health for two weeks. Pontiac fever has similar symptoms to Legionnaire’s disease, but it is a milder infection that does not cause pneumonia. Antibiotics will not help with Pontiac fever, which usually goes away on its own without specific treatment. To prevent legionellosis, ensure that water tanks, hot tubs, and other warm-water systems are properly maintained. Bronchitis is an inflammation of the lining of the bronchial tubes, which carry air in and out of the lungs. The main symptom of bronchitis is a cough which produces mucus. Some people may also experience fatigue, shortness of breath, and slight fever. There are two types of bronchitis: acute and chronic. Acute bronchitis will usually go away on its own after a few days, although the cough can linger for weeks afterward. Because acute bronchitis is caused by a virus, antibiotics will not help with the disease. If you are concerned that you may have acute bronchitis, talk to your doctor about over-the-counter remedies that will ease your symptoms. Chronic bronchitis is defined as a productive cough (a cough that produces mucus) that lasts for more than three months, with recurring bouts for at least two consecutive years. Chronic bronchitis sufferers may have periods when their symptoms worsen, and may develop acute bronchitis on top of their chronic bronchitis. The most common cause of chronic bronchitis is cigarette smoke, including secondhand smoke. Other risk factors include gastric reflux and exposure to environmental irritants. If you live or work in an environment where you are exposed to dust, textiles, or chemical fumes, an environmental health investigation can help determine your risk for developing bronchitis. Mycobacterium Avium Complex (MAC) is a bacterium found in all parts of the environment. MAC is found in dust, water and food, and almost everyone has the bacterium in their bodies. Most people will not get sick from MAC. However, those with compromised immune systems, especially people with HIV/AIDS, are at risk of infection from MAC. Symptoms of MAC infection include fever, chills, diarrhea, weight loss, stomach aches, fatigue and anemia. Because these symptoms are similar to those of many opportunistic infections (infections that are most dangerous to people with weakened immune systems), MAC disease can be difficult to diagnose, and can take root in different parts of the body. MAC disease can be treated with a variety of antibiotics. However, if you have HIV or AIDS, it is important to maintain your health by taking your medications correctly; this is the best way to prevent MAC infection. Cryptococcosis is a disease caused by the fungus Cryptococcus neoformans. It is usually found in soil; because it is so ubiquitous, it is difficlut to avoid exposure. Cryptococcosis infection is extremely rare in healthy people. Those most at risk of infection are patients with compromised immune systems, such as people with HIV/AIDS, or Hodgkin’s disease, and patients who take high-dose corticosteriods or are undergoing chemotherapy. Although cryptococcosis can be treated with antifungal medications, it has the potential to to become a very serious infection.